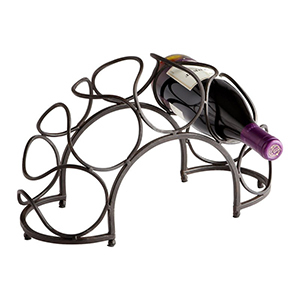 City apartments don’t have a lot of room, so this wine rack is perfect! It holds five bottles of wine in a tiny space. It’s great for on top of the counter, fridge or microwave – and you can even store things under the arch. Or, if you’re really tight on space, it looks great in the living room, on the floor by the couch, wherever! 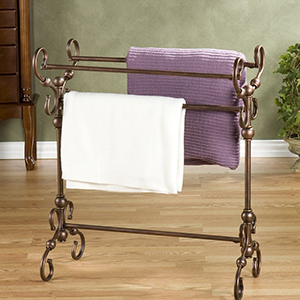 These racks can serve as a blanket rack or a towel rack. 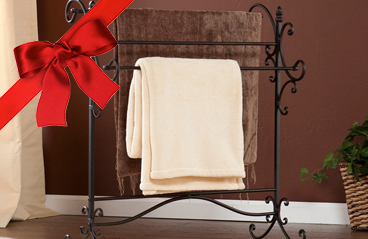 When you’re hosting, it’s great to have extra room for your guests to hang their towels in the bathroom. This is one of those little things that make such a big difference – and once you try it, you’ll agree! These racks also give you a place to put extra blankets for the foldout couch – you can only pile them so high on the back of the couch. If you really want to help someone be a better host, check out these room divider screens. 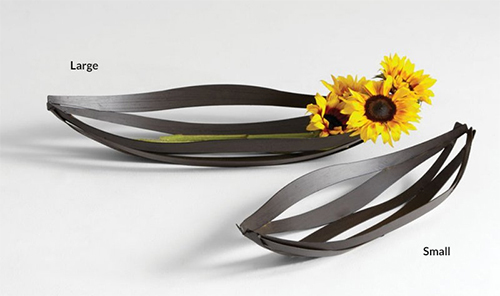 They’re perfect for urban hosts – they’ll appreciate it and so will their guests! Since you’ve come to this website, we’re guessing that a few people on your list have an eye for design. If so, they’ll love these decorative trays. Each tray is a blank canvas — fill them with knick-knacks, antiques, flea market finds or simply to organize day-to-day items like mail and sunglasses. 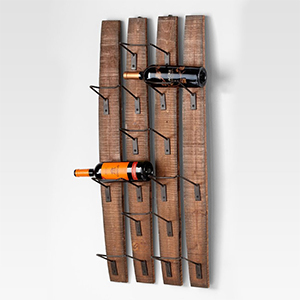 Fresno is a rugged, wall-mounted rack that holds nine bottles of your guy’s favorite wine, whiskey or craft beer. The aged wood and simple black iron rungs go perfectly with exposed brick, white, black or painted walls. A new light fixture is the perfect pick-me-up. Think of how often you have the lights on at home – a lot! There’s nothing like coming home after a day of work and feeling your entire mood lift when you switch from the harsh lights of the office to the warm, relaxing atmosphere of a cozy lamp.